Most experienced dog owners are familiar with common dog behavior problems, but some may wonder why dogs exhibit these behaviors. Barking, biting, chewing and many other common dog behaviors are often misunderstood and mishandled by dog owners. Perhaps you are new to dog ownership, considering getting a dog, or just wish to better manage your dog's behavior problems. 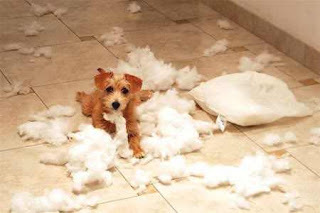 Thoroughly understanding the most common dog behavior problems is the first step to solving and preventing them. A solid foundation of obedience training will help you prevent or better control common dog behavior problems. 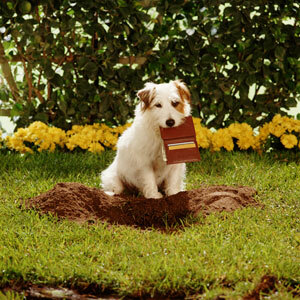 If your dog digs up your yard, it can get pretty frustrating for you. Try and determine the cause of the digging, then work to eliminate that source. Spend more time with your dog, give him more exercise, and work on extra training. 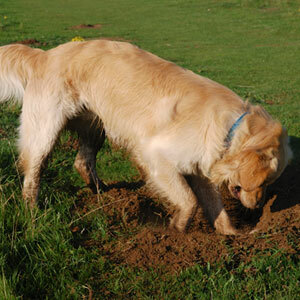 If digging is inevitable, set aside an area where your dog can learn it is "okay" to dig, like a sand box. Inappropriate elimination is unavoidable in puppies, especially before 12 weeks of age. Older dogs are another story - many require serious behavior modification to rid them of the habit because you must often alter their perception of themselves. 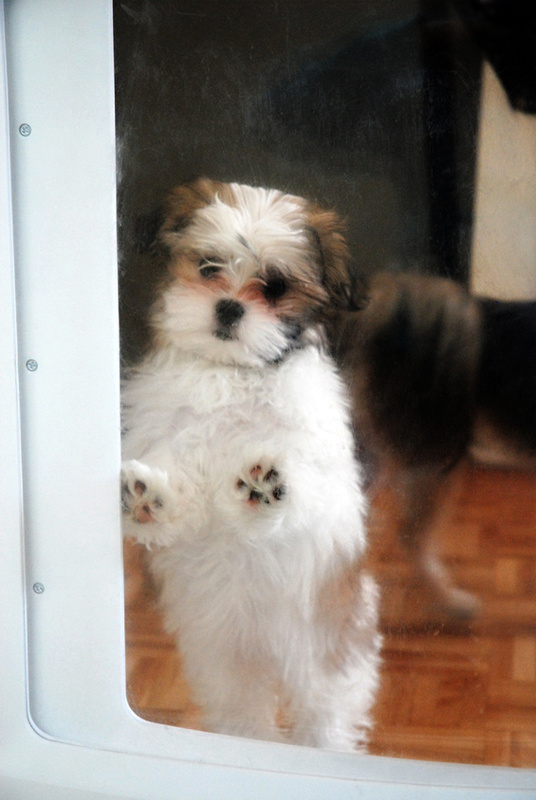 Begging is a bad habit, but many dog owners unfortunately encourage it. This can lead to digestive problems and obesity. Dogs beg because they love food - but table scraps are not treats, and food is not love! Yes, it is hard to resist that longing look, but giving in "just this once" creates a problem in the long run. In a pack setting, a subordinate would never beg from alpha dogs without reprimand. When you teach your dog that begging is permitted, you jeopardize your role as pack leader. Before you sit down to eat, tell your dog to stay, preferably where he will not be able to stare at you. If necessary, confine him to another room. 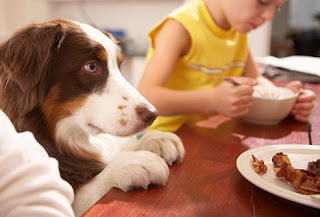 If he behaves, give him a special treat only after you and your family are completely finished eating. 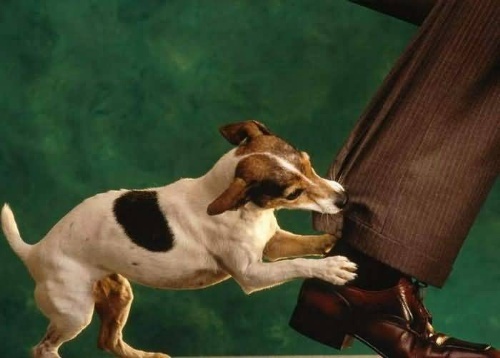 A dog's desire to chase moving things is simply a display of predatory instinct. Many dogs will chase other animals, people and cars. All of these can lead to dangerous and devastating outcomes! While you may not be able to stop your dog from trying to chase, you can take steps to prevent disaster. Your best chance at success is to keep the chase from getting out of control. Dedicated training over the course of your dog's life will teach him to focus his attention on you first - before running off. Puppies jump up to reach and greet their mothers. Later, they may jump up when greeting people. Dogs may also jump up to exert dominance. A jumping dog can be annoying and even dangerous. There are many methods to stop a dog's jumping, but not all will be successful. Lifting a knee, grabbing the paws, or pushing the dog away might work for some, but for most dogs this sends the wrong message. Jumping up is often attention-seeking behavior, so any acknowledgment of your dog's actions provide a reward! The best method: simply turn away and ignore your dog. 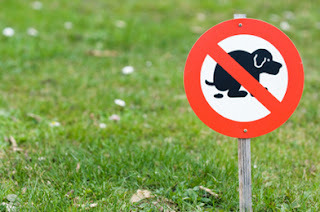 Do not make eye contact, speak, or touch your dog. Go about your business. When he relaxes and remains still, calmly reward him. It won't take long before your dog gets the message. 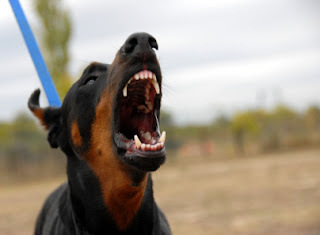 Dog aggression is exhibited by growling, snarling, showing teeth, lunging and biting. It is important to know that any dog has the potential to become aggressive, regardless of breed or history. However, dogs with violent or abusive histories and those bred from dogs with aggressive tendencies are much more likely to exhibit aggressive behavior towards people or other dogs. 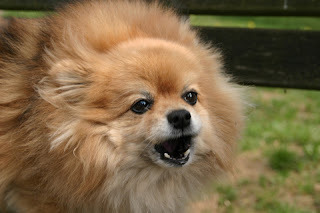 Reasons for aggression are basically the same as the reasons a dog will bite or snap, but overall canine aggression is a much more serious problem. If your dog has aggressive tendencies, consult your vet first - it may stem from a health problem. Then, seek the help of an experienced dog trainer. Serious measures should be taken to keep others safe from aggressive dogs!